Educated in Church Park and fluent in English, Jayalalithaa was 16 years old when she starred opposite M.G.R in Ayirathil Oruvan. 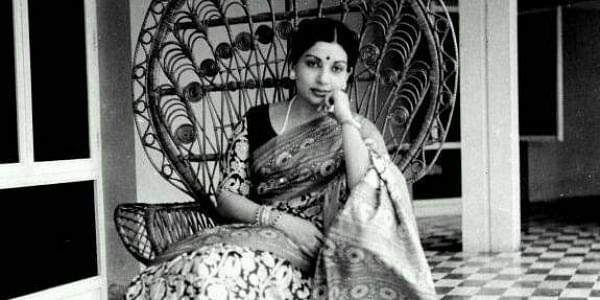 After a two-decade long career in the film industry, Jayalalithaa entered politics by joining AIADMK in 1982. The rest as we know is history. Though Jayalalithaa -Tamil Nadu’s former Chief Minister, died two years back, there are a lot of controversies and ‘facts’ surrounding her life; and her death as well. One such surprising ‘fact’ about Jayalalithaa was revealed in the last episode of Jayalalithaa Enum Naan, a documentary produced by Thanthi TV. In the beginning of 1980s, Jayalalithaa was all set to get into an arranged marriage and lead a ‘normal life’. Talking about this, Amitha Chari, one of her relatives told in the documentary, "We looked at four to five boys. Arun Kumar from Mysore (family friend’s son) stood out and was very good looking too." Though all talks of a marriage took place, it was called off in the last minute due to reasons that remain unknown. The documentary reveals another lesser known fact about Jayalalithaa – that she was always conscious of her appearance in her younger years. She had a liposuction in the United States despite strong opposition from her friends and family. Recalling that fondly, her cousin Anuradha said, "She even sent us before and after pictures to show the difference in her figure, and was very happy with the result." The documentary further talks about how Jayalalithaa became a loner and an unhappy person after her mother’s death. She felt constantly exploited and did not trust most people around her, as reflected in her autobiography which was published in the Tamil weekly Kumudam a few decades back.